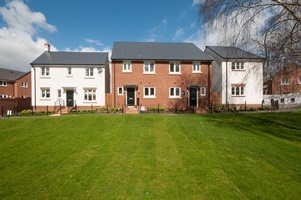 House-hunters in Wales who are keen to explore the new Government funded Help to Buy -Wales scheme, can find all the help they need at Crest Nicholson’s Help to Buy event on Saturday 22 March at Old School Rise, Monmouthshire. Help to Buy was introduced in England in April 2013 and since then has helped around 7,000 people purchase a new home. The scheme’s introduction in Wales means that more first-time buyers and even second steppers are able to afford their dream property. Open from 10am to 5pm, visitors can meet with Crest Nicholson’s sales team at Old School Rise to talk about the scheme and how it could help them. There will also be a chance to meet other house-hunters in the area, and perhaps prospective neighbours, as guests will be treated to a hog roast between 12pm and 2pm. Laura Osborne, Senior Sales Manager for Crest Nicholson, said: “The economic climate for the past number of years has meant that it has become challenging for buyers to make their first step or climb further up the property ladder. “The introduction of Help to Buy in England has literally opened doors for thousands of house-hunters and we’re thrilled that we’re now able to offer the scheme in our developments across Wales. Located on the outskirts of the historic market town of Monmouth, Old School Rise is a collection of 42 impressive two, three and four bedroom homes. These homes benefit from an attractive mix of town and country living, with the breathtaking scenery of the Wye Valley and Monmouth’s thriving town centre both within easy walking distance. Prices at Old School Rise using Help to Buy – Wales currently start from £151,960 for a three bedroom Huntingdon house and £183,200 for a four bedroom Langdale house. For more information, attend our Help to Buy event at Old School Rise on Saturday 15 March. The on-site Sales and Marketing suite is open Thursday to Monday, 10am to 5pm, or log on to crestnicholson.com/oldschoolrise.